My absolute favorite picture book is The True Story of the Three Little Pigs. I always share this book during the first week of school. I want to share with my students some of my favorite things. Plus, this book is the perfect tool to teach perspective. It is inevitable that there will be tattling when you have a group of children. I tell my students that each student who has a conflict will have a different perspective. It is important that students talk to each other to share their point of view. Hopefully, they will learn valuable problem solving skills. 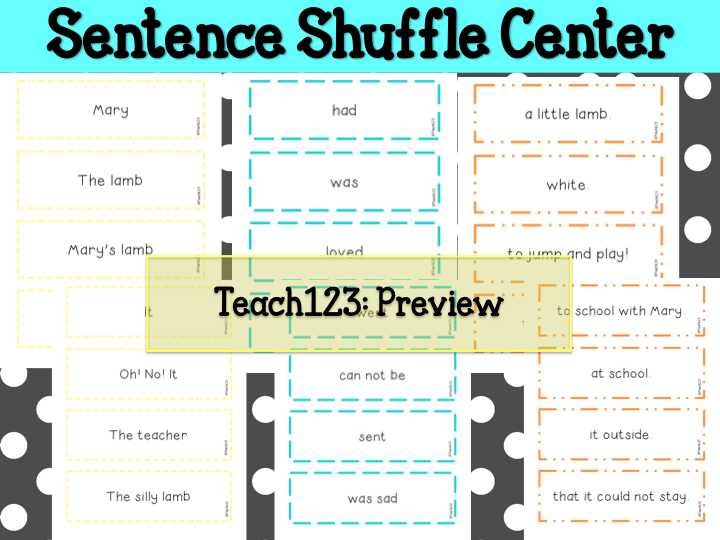 One of my favorite units to use at the beginning of the year is nursery rhymes. Most students are familiar with the passages. 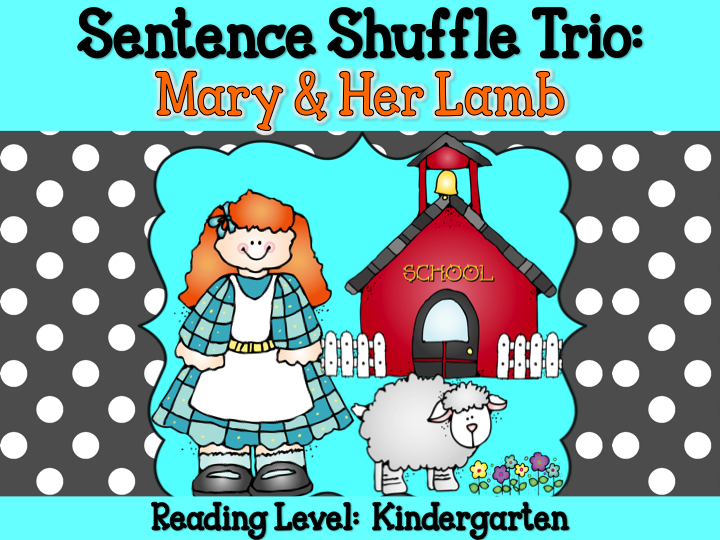 I decided to make a new unit that is loosely based on Mary Had a Little Lamb nursery rhyme. 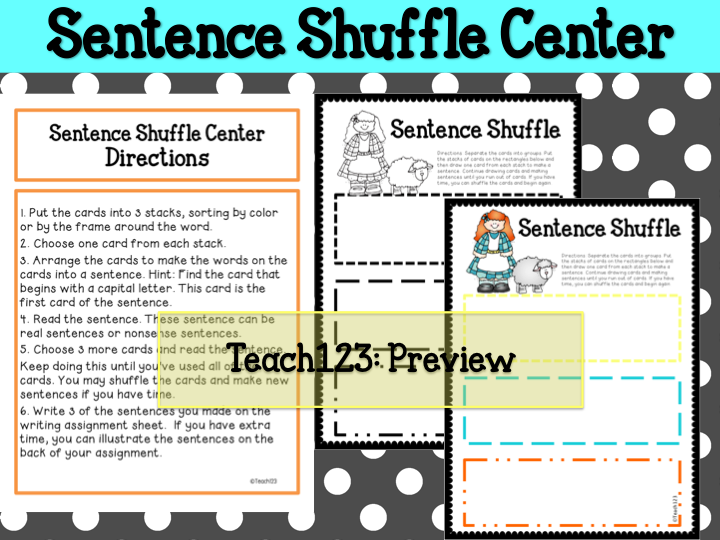 Your students will be able to read the sentences in my new Sentence Shuffle Trio and tell which nursery rhyme these activities are about. 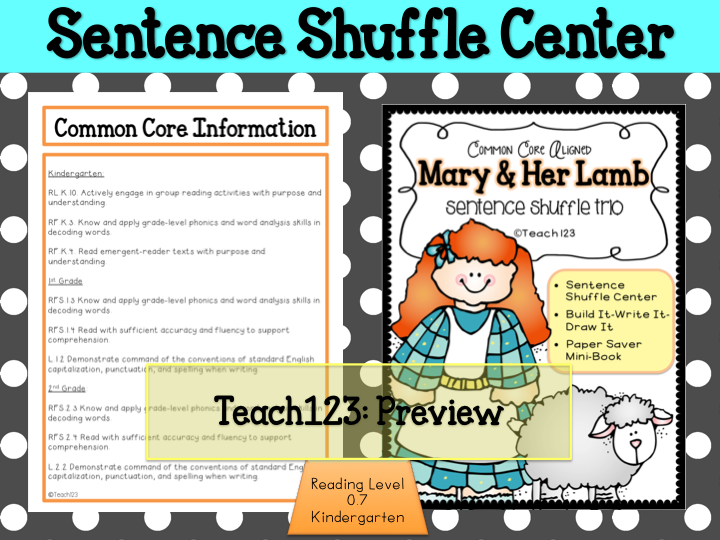 This packet is on the kindergarten reading level and is aligned with K, 1st, and 2nd Common Core Standards. 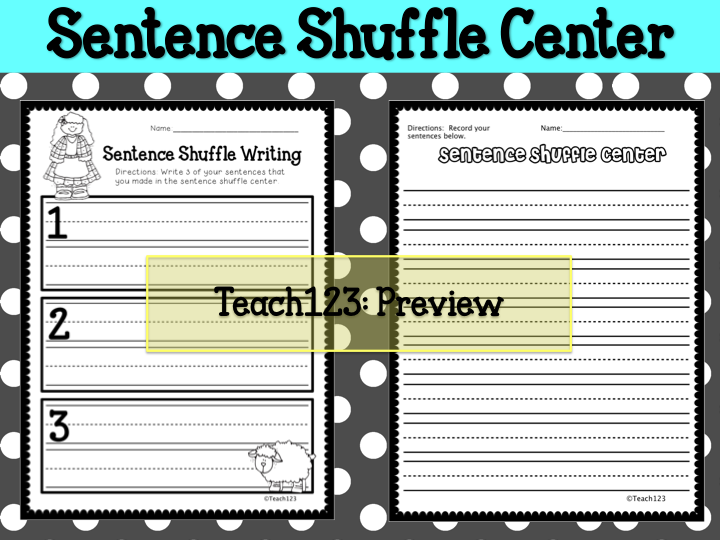 After students make sentences using all of the cards, they will write their sentences on one of the writing assignment pages above. 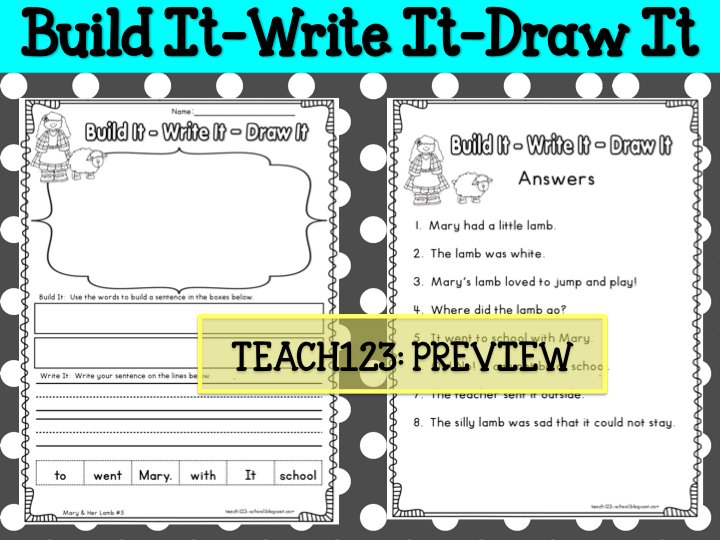 There are two pages to choose from so you can differentiate the assignment. 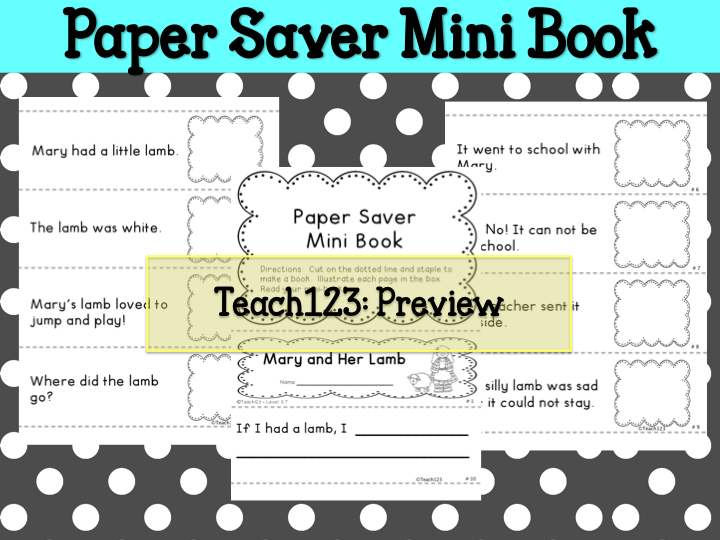 The paper saver mini book can be used as homework or for a small group lesson.